Company history - Changzhou YuBo Electronic Scale Co., Ltd.
Changzhou YuBo Electronic Scale Co.,Ltd sailed in 2006. 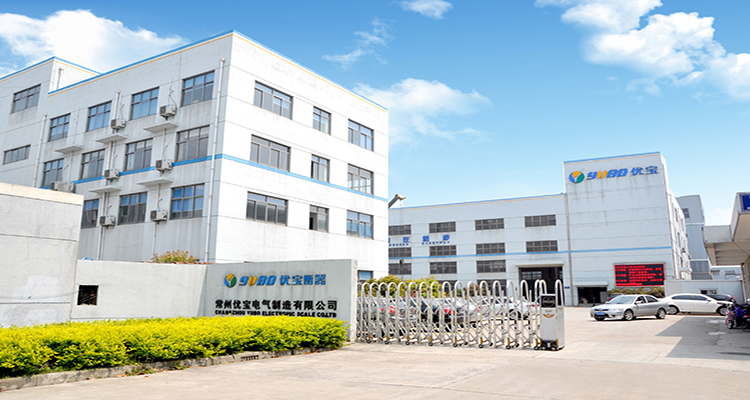 For decades, only a single product from a small company into currently has a staff of nearly 200, wide range of products, with annual sales of nearly billion weighing scale industry leading companies.Electric Manufacturing Co., Ltd. Changzhou excellent treasure sail in 2006. For decades, only a single product from a small company into currently has a staff of nearly 200, wide range of products, with annual sales of nearly billion weighing scale industry leading companies. YuBo always keep pace with market demand, research and development and high-quality mass-produced all kinds of weighing products. Where in the axle load meter, explosion-proof scales, truck scales, gas filling scales and other products is reputation, continued to sell well at home and abroad. Development of YuBo will continue weighing intensive industry, adhere to the "high-quality, more variety, good service, cost-effective" business philosophy. More will be concentrated on the needs of domestic and foreign markets, with innovative ideas and initiatives to continually adapt and meet those needs, so in exchange for excellent treasure of sustainable development and Everlasting. Let YuBo always beneficial to customers, employees and other interested parties. YuBo is always on the road!